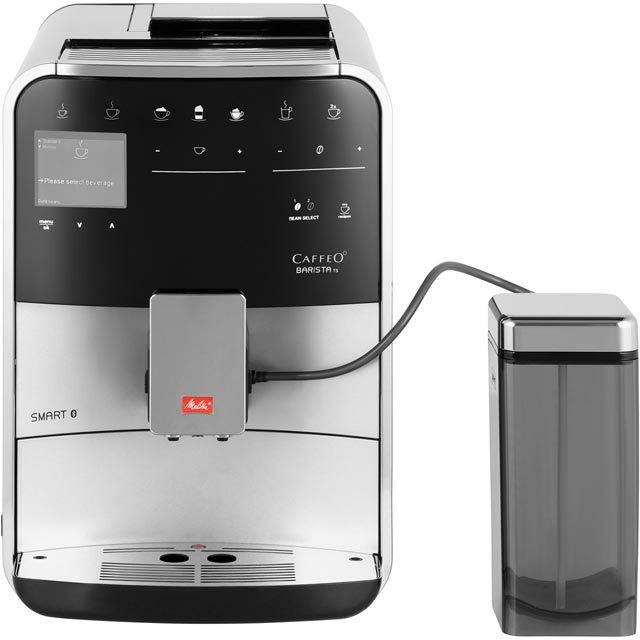 Enjoy indulgent, aromatic coffee with this silver bean to cup machine from Melitta. With an impressive 21 programmes to choose from, you’ll be spoilt for choice. You can tailor every drink to your tastes too with the Melitta® Connect App, which lets you use your smartphone to control everything from the strength of your coffee to the exact moment the milk is added. The built-in burr grinder uses less heat when it’s preparing the beans, to preserve more of your coffee’s deliciously rich flavour. The thermoblock heating system maintains the ideal water temperature as well, so every cup is served perfectly. The PRO AQUA filter reduces limescale in water too, which means your morning cappuccino will always taste great.